Are you looking for a volunteer opportunity? Do you ever wish there could be a space where different organizations get together for a fair? Now you have the chance to explore different volunteer opportunities at Barnard’s Network of Premedical Students (NPMS) Volunteer Fair! There will be organizations from within BC/CU as well as the greater Manhattan area. You will have the opportunity to talk with representatives, sign up, and apply to different organizations both on and off campus. Pizza will be served at the beginning! Just wanted to remind everyone that the STUDENT Research Panel is tonight at 7:00 PM in the Sulzberger parlor (Barnard Hall)! Hope to see everyone there! We are so excited to see everyone and kick of the year with new and returning students alike! Please come to the James Room (4th floor Barnard Hall) this Thursday at 7PM to hear all of our updates and begin the Barnard Pre-Medical Mentoring Program! Please email barnardcollegemaps@gmail.com with any questions or concerns. Since coming to Barnard/Columbia, joining the committee for Relay For Life has been the best decision I have made. I put so much time and effort into this cause everyday, and I never think twice about doing so because Relay has become so near and dear to my heart. Unfortunately, cancer affects everyone we know–either directly or indirectly, and as of now there is no way to stop it completely, but we can try to slow it down until we find a cure—and Relay For Life is a great place to start doing this. The American Cancer Society does so much for those afflicted with cancer—from their 24/7 hotline with nurses, insurance agents, psychologists, and counselors on call to help with any question or concern of a cancer patient, to the Hope Lodge (a free hotel for cancer patients who need to be away from home to receive cancer treatment), and to the programs put on to help lift the spirits of disheartened survivors, caregivers, and patients. Without it’s participants, Relay is nothing. Relay needs families and friends to come together and reach their fundraising goals to get one step closer to finding a cure. As a scientist, I see these dollars at work. I see this money going to students here (at Columbia University) to help analyze test results and get one step closer to a cure! Everyone can help make a difference. Any contribution, whether big or small, helps fund researchers to get one step closer to a big breakthrough, helps bring a cancer patient to the hospital if they need transportation, helps house cancer patients who need to move to a new area in order to receive a specific treatment, and SO much more. I have HOPE that soon we WILL find a CURE. Please consider donating to and participating in Relay For Life at Columbia University to help the American Cancer Society Fund the Mission and FINISH THE FIGHT. Finally, I ask that you consider the question: “Why Relay?” I’m sure you’ll come up with a million reasons. I Relay for those who can’t, for those who have lost their own lives or loved ones to this terrible disease, for more birthdays and smiles, and for HOPE. I hope you will start or continue to Relay for these reasons, too. I) Place your on a Kaplan MCAT course that worth $2300 (current highest bid is $2…people, take advantage of this opportunity if you’re planning on taking the MCAT. it’s worth it)!!!!!! Auction will take place at the beginning. 1) Mindfulness Practice and mastering the “Three Steps to Center,” to be used in challenging times. 2) Habit Hack: how to use attention-training tools to stay motivated and keep the practices going! 2) if you don’t facebook, sign up for newsletters: http://www.junabobbymd.com/ or let us know the best way to reach you. This three-day workshop series will include interactive and dynamic lectures on: the anatomy of attention, the science of compassion, dealing with uncertainty, and meditation and exercise as medicine. Our goal is to restore confidence in one’s ability to maintain mental clarity and equilibrium despite emotional or physical stress. Learn attention-training and positive-psychology techniques that will have you manage stress before it becomes overwhelming. Feel free to come to one or all sessions (for maximum benefit, all three are recommended)! Thursday 3/24 : 7:30-8:40 PM, there will be Insomnia Cookies! Saturday 3/26 : 1-2:30 PM + mirror meditation workshop with Professor Tara Well + RAFFLE PRIZES! Raffle prizes include: 1) Online session with Dr. Bobby herself, on meditation, eating, sleep or other stress related issues of interest; 2) stress management items from Dr. Bobby; 3) a Kaplan course of your choosing; and 4) fun items from the Barnard Store!! 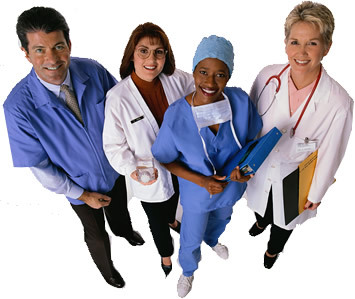 Are you considering a career in the health profession? Do you have questions about being a pre-health student and want to learn more? Interested in learning about the resources and advising support our office provides? Whether you are a first year or a senior, it’s never too late to start exploring the health professions. Pre-Health Overview Sessions will be held throughout the year. To sign up for a session, please click here. These sessions are intended to serve as your “first” pre-health advising appointment. We ask that you attend an overview session prior to scheduling an individual advising appointment with Dean Cohen, Associate Dean for Pre-Health Professions Advising. In the meantime, don’t forget to check out this blog frequently for upcoming events, opportunities, and important announcements. We look forward to supporting you on your path to pursuing a career in the health professions! Hi everyone! This year, Barnard Network of Pre-Medical Students will be participating in Relay for Life for the second time. Relay for Life is an amazing fundraising event for the American Cancer Society, and this year, it’s happening all day on Columbia’s Low Steps on April 9th. There will be many other teams present, with activities at each of their booths. This year, we plan on having a booth at Relay for Life that will include getting henna tattoos and selling treats! Our goal for fundraising this year is $500 and we hope that we can reach that goal. All proceeds will go towards the American Cancer Society. As pre-health students, most, if not all of you, know someone who has been affected by cancer. It’s important that we contribute to fundraising efforts as this will greatly benefit everyone who has been affected by cancer. If you would like to become more involved, please sign up for our team “Barnard Network of Pre-Medical Students” at this website: http://main.acsevents.org/site/TR/RelayForLife/RFLCY16EA?pg=entry&fr_id=72914. Registration fee to sign up for a team right now is $10, but this $10 will be put to good use by the American Cancer Society. If you sign up to be on our team, you do not necessarily have to come to Relay for Life; your signing up is already great support for us. But we’d love to see all your faces at our booth on April 9th! If you choose to not sign up, you can still come to our booth and get a henna tattoo or purchase a treat. One thing to keep in mind: registration fees will increase as we approach the date of Relay for Life. So while the fee is $10 right now, it may go up later. We thank you all for your support and we look forward to seeing all your faces at Relay for Life! If you have any questions, please contact our Relay for Life Team Captain, Vivian Mao (vam2134@barnard.edu).